There are continual regulatory changes in the healthcare industry and it can be hard to keep up with all of the developments, however, errors and non-compliance can be costly to health plans. We all want to be compliant, not just to avoid fines and penalties, but to better serve and safeguard our members. Still, notification of a regulatory audit can send panic throughout an organization. Conducting your own internal audits can be critical to supporting compliance. By learning how to properly identify potential issues through risk assessments, conduct internal auditing and monitoring, properly utilize technology, and prepare with mock audits, regulatory audits no longer need to be feared. By categorizing risks as low, moderate or high, you can prioritize your audit work plan, addressing the highest risk areas more frequently and utilizing increased resources. Each area consists of key activities and procedures where risk assessments can be conducted to determine compliance and what is needed for the next internal audit cycle in order to mitigate risk. The first step in conducting a risk assessment is to consult external or third-party reports, such as SOC1, which is an independent examination that provides information on the effectiveness of controls that could affect a plan sponsor’s financial reporting. It covers areas similar to the above PBM audit universes, providing examples for each component, as well as key financial reporting controls and testing results. EnvisionRx makes the SOC1 report available to all health plan clients as a resource. Because examinations, like the SOC1, are conducted by external parties, plan sponsors can obtain a higher level of comfort that controls are supporting effective risk mitigation. It is also important to interact with people working on the frontlines when conducting a risk assessment. As an example, if you’re doing a risk assessment of the prior authorization process, you should interview pharmacists and pharmacy technicians who actually perform prior authorization reviews. They are familiar with all of the potential issues and challenges and can provide the information truly needed to assess risk. After applying third-party and frontline sources, a plan sponsor can look for any remaining gaps to determine what should be included in the next internal auditing cycle and where it might be appropriate to reassess effectiveness in the upcoming cycle. With a risk assessment, you want to look at what could go wrong and what’s in place to stop that from happening. We are seeing a paradigm shift away from the traditional auditing approach, where samples are selected at random and documentation is reviewed manually, to a more scientific approach utilizing data and technology. In fact, the Centers for Medicare and Medicaid Services (CMS) is decreasing reliance on audits in favor of continuous auditing through desktop procedures. Now, when CMS requests periodic reports and universe files, it’s not random because they’re using technology to identify anomalies in data. This means you should be using technology to identify anomalies as well. There are various tools available today to support this new approach of analytics and monitoring, including data management, visualization and monitoring software programs. These tools allow you to collect hundreds or even thousands of records from multiple sources into one repository. Queries or scripts can then be conducted to analyze the data. Once these queries are created, they can be repeated at regular intervals—weekly, monthly, quarterly—to develop a continuous desktop monitoring program. Visualization software can then be utilized to summarize the details in charts and graphs, rather than creating lengthy paper reports. If the data do not meet the rules established from your criteria, there is a potential issue that should be investigated further and, if needed, an action plan should be developed. The results of your desktop monitoring program can then be reported using visualization software. Desktop monitoring uses less time and resources than traditional audit and monitoring techniques and provides a more real-time look at trends where you are able to examine high-risk areas, determine if there are any potential issues and take corrective action as needed. This allows for more confidence during a regulatory audit. While doing risk assessments and implementing a desktop monitoring program can help prepare you for a regulatory audit, we all know practice makes perfect. That’s why it is important to conduct mock audits. A robust mock audit process ensures a continuous state of audit readiness. Plan – Identify the audit participants, define their roles and set expectations. This should include a primary and backup audit team with cross functional representatives, such as pharmacists, members from operational units and the compliance department. Execute – Select difficult cases to ensure your audit team is ready for anything. Review – Review the audit results, provide a final report and get feedback. Act – Complete any necessary corrective actions and remediations, as applicable. By identifying your risks, using technology to continuously monitor risk areas and conducting mock audits, your organization can feel prepared and sleep well at audit time. 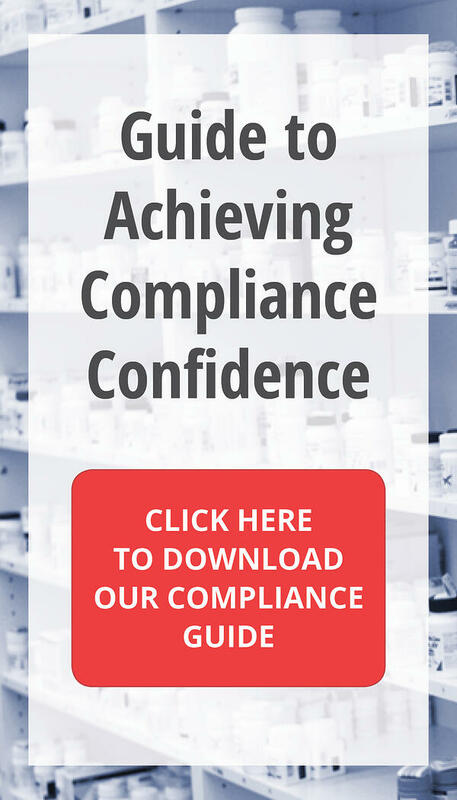 For more information on how the EnvisionRx Compliance & Ethics Department helps prepare you for audits and supports compliance, download our Guide to an Effective Compliance Program.